This is a discussion group for mooSocial's Weahter plugin. Have ideas, suggestions, questions regarding this plugin? Please post them here. It looks like this Plugin is no longer available. Is this why it doesn&apos;t seem to work? Mark the api that the plugin is using is not free any more. So that we temporarily removed it until we find a better one to replace. Peter Wray Thank you for the information. Ryan Nguyen Kent Lam, please check! Thanks for your report, we will fix it on next version. 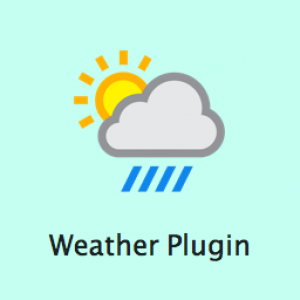 Weather addon Version 1.3 is release Change log: +compatible with moo 2.6.x Please go tohttps://moosocial.com/product/weather-plugin/tosee detail.